Hello and Welcome! 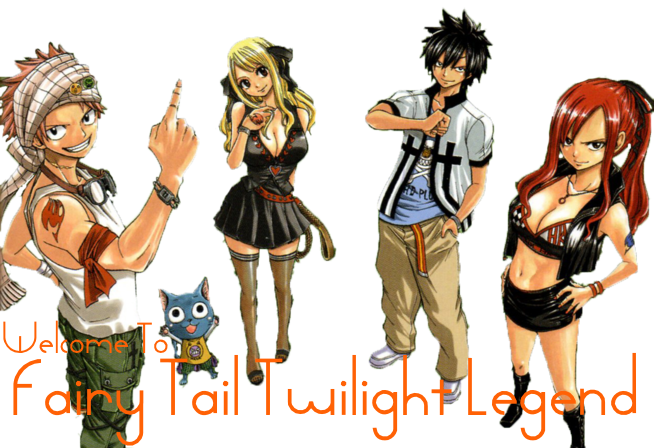 I’m one of the staffs here at Twilight Legend, we are the people who run this forum and make sure everyone has a pleasant and enjoyable time. We are subject to the same rules that you have, but the staffs on duty (online) will do what is necessary to keep the peace on around. Reading the rules is necessary and is not optional, so you must follow the rules. [list][*]Everyone should respect everyone else. We're not saying be all buddy-buddy, but at least be nice, kind and friendly. This means, no flaming, no fighting in the OOC areas, and no flame baiting. Flame-baiting is the act of posting something to another member that has no purpose but to cause a fight or argument. Once you reach enough warnings, you will be banned permanently. Anyone that is behaving badly or harassed, contact an Admin or MOD right away and we will take care of the situation immediately. Sexual content in the CB (aka Chatbox) is not allowed and will not be tolerated. And will also be dealt with immediately. If you feel that there is corruptness with the admins or mods, or unfair treatment and you have substantial proof, then bring it to an administrator and they will investigate and dealing with it too. Do not advertise in the chatbox or anywhere else in the forum. We have a section for advertisements and affiliation for those, and that is the only part of the forum that you are allowed to advertise. Please give respect to this site. Please do not spam. Making a post in a thread that has no relevance to that specific topic is considered as spamming. We here at FTTL wish to keep the forum looking as professional, clean and neat as possible. This means if you don't have anything to add to the conversation, don't say it. You are allowed to make alts but it is limited to 2 alts only. In total you can only have 3 accounts, 1 main and 2 alternate accounts. Don't make more than 2 alts or not, or else you will get a warning, and we will delete the newest accounts that you created. You are not allowed to kill your main character and alts by using your own main character or alts. Your alts can be in the same guild as your main character, and you can do jobs with yourself by using your main character and alts. Here at Twilight Legend you are not limited to one thread at a time. YOU CAN BE IN MORE THAN ONE RP THREAD and join as many topics as you want. Role playing here in the wide variety of locations allows you to build multiple storylines at once. It's in your own hands to determine the time line of your character. The only thing is, don't put your RP threads aside, finish it as fast as you can. Although you can be in more than one RP thread, you can only take 1 job at the same time. You cannot kill other players unless there is a permission from the character owner to kill his character. Violators of this rule will be dealt with accordingly. Respect the posting order. However, we have a 24 hour rule that states that if a person in the topic didn't post within 24 hours and it's already his turn to post, the rest of the members can continue on without him/her. him/her can then just catch up later when he gets to his/her turn again. No Godmodding. You can't dodge every hit thrown your way, and you won't hit your opponent every single time. Open for everyone and everyone can join the RP thread. [OPEN] RP threads can be closed by the hosts, and if [OPEN] RP threads is closed, it will become [CLOSED], simple as that. If you want to join the RP thread, you must ask for a permission from the RP thread hosts. The hosts must add the role players list in the first post, and if someone join the RP thread, the hosts will need to edit the role players list. RP threads which role players doing their jobs, you cannot ask for a permission from the RP thread hosts, or just join the RP thread. It is according to the role players who is going to do the jobs, then so they can join. The hosts must add the role players list in the first post who are doing the jobs with them. If you want to post a [JOB] RP thread, please put the topic title as the job's name, this is an example, Job name[JOB].